On Wednesday 12th February and Wednesday 19th February HarperCollins Australia is requesting manuscript submissions for romance, erotica, and women's fiction. Here is the twitter link. Here is the HarperCollinsAU page on their all-year-round Wednesday submissions. Psst, note that the Wednesday submissions call is international! 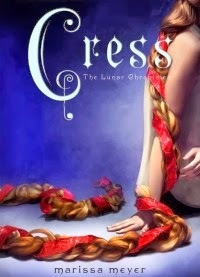 That's right, folks, CRESS is now available in stores! Go buy it and marvel at the best Lunar Chronicles story yet! Calling All Unpublished Aussie Writers! There's a new mentorship program opening up for applications, and it looks spectacular. The publishers will actually be the FINAL JUDGES when selecting the shortlisted applicants, so they'll definitely be wanting to see your work if you get in. How awesome is that? Go to http://www.varuna.com.au/varuna/index.php/programs/residential-programs/pathways-publication/item/177-varuna-publisher-program-2014 or click on the link in the first sentence of this post for more information. Keen to see more diversity in YA fiction? Check out what Twelfth Planet Press is doing in 2014! If you want to make this happen, become a backer for the project here. I believe the publisher will be opening to submissions when they reach the $7000 milestone, so keep your eye out! The Australian Society of Authors is offering a mentorship program for unpublished Australian citizens. If you have at least a first draft of a WiP, you have until 1st November 2013 to put in your application to work with an author for a year and make your ms the best it can be. It's been five months since my last post. Now isn't the right time to explain where I've been, but I'll say that it wasn't a pleasant place. I'll also say I've reached a point where I'm ready to kick my preppy, "never-give-up-yay-failure" Past Self in the behind. Oops, there were more Doctor Who scores in there than I expected. I never thought I'd like anything by the artist for number 8, but those lyrics were crazy perfect, so there you go. Also, number 18 is TOTALLY the theme song for the whole story. Yay number 18. Maybe this music won't mean much to you now, but at least you have some hints as to what the story will be about. Or... you'll be more confused than ever. Either way, enjoy! This is the first time I've been able to do a quarterly reading list, because I'm finally keeping track of the books I'm reading. Hooray! Don't hate me. It was okay, but the hype for it was insane, and I just didn't love it as much as the rest of the world. Staggering amount of racist and sexist issues in this book. I'd only recommend it if you were able to look past those issues and read it for the adventure alone. Cute, funny, light-hearted read, but I still haven't recovered from the ending. It was okay. Didn't leave as much of an impression as I was hoping, especially because I love love love the Narnia stories (except THE LAST BATTLE, and let's just pretend that one doesn't exist). If you were to ask me what my favourite story of all time is (published or unpublished), THE ANSWER IS THIS. It's on ff.net, but my best friend printed and bound it for me so I have a copy to read in bed. This is my sixth? seventh? reread. I'll never get sick of it. You too can enjoy the madness, giggles, and romance here. Yes, I read the Lunar Chronicles as her crit partner, but I always read them again in book form! Read it. Just. Read it. Despite the similarities to TWILIGHT and the fact the possessiveness of vampires makes me queasy, I did enjoy this book. Oh wow. Oh wow. One of the best short story collections I've ever read (up there with LOVE AND ROMANPUNK by Tansy Rayner Roberts). If you can snag a copy on your kindle, do it. I never wanted to leave the worlds Dyer created! Looking forward to reading more of her work. Currently reading SPLASHDANCE SILVER by Tansy Rayner Roberts. A female pirate who's also a witch? YUSSSS. As you can see, the list isn't huge. I haven't mentioned the few books I didn't finish. Also, I spent one and a half months writing instead of reading. Every spare moment felt like precious writing time at that stage, so I didn't pick up a book for a while. Taking that into consideration, I think I did well. Well, I've finished another draft. Huzzah! This time I've written an adult Urban Fantasy. While YA was my thing for a long while, I think it's time to accept the fact I can't get into a teenager's mind like I used to. Besides, I like writing about cocktails and fun things happening during work and all that stuff my life is made up of now. Next step: A quick read-through for obvious errors, then off to beta readers! When a dead muso is found in the flat upstairs, Tabitha does her best (honestly) not to interfere with the investigation, despite the cute Scottish blogger who keeps angling for her help. Her superpower is gossip, not solving murder mysteries, and those are totally not the same thing, right? But as that strange death turns into a string of random crimes across the city of Hobart, Tabitha can’t shake the unsettling feeling that maybe, for once, it really is ALL ABOUT HER. Sounds awesome and delicious, right? 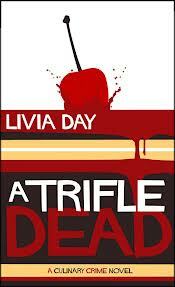 Tansy was nice enough to answer some questions for me about A TRIFLE DEAD. Why did culinary crime seem like the right genre for you after writing fantasy? It's not really a question of after - the Cafe La Femme books have been in my head a long time, alongside the fantasy writing. Crime is my other literary love, and I've always wanted to do both. But as for the culinary side - that was kind of an accident I fell into, because my protagonist Tabitha cares so much about food (much as Velody from the Creature Court books cares about dressmaking) that the culinary side of the stories started to take over. She likes food way more than murders, which is understandable, really. Food is far more delicious. Which do you prefer writing: a light-hearted pace, such as in A TRIFLE DEAD, or the intricate worlds of your previous fantasy novels? Again, it's not a choice. I find light-hearted first person stuff does write up a lot faster than the more serious, epic stuff - but in the case of A Trifle Dead that comes with a mystery plot and even (especially) a fun, light-hearted murder mystery needs a lot of hard work under the bonnet to make it look so effortless. Fantasy plotting is WAY easier than crime, the longer the books the better, because you have a lot more choices in directions and misdirections to try. With a crime novel, especially a fairly short one, there's no stray castle to hide in for a chapter or two, no complicated political flashbacks, and so on. Mostly I want to write what I'm most in the mood for reading, and I have been going through a bit of a crime spree in my reading material in recent years, but I haven't given up epic fantasy even a little bit. Why did you decide on a Tasmanian setting? The books grew out of the setting. I've lived in Hobart most of my life, so it's the best possible place I could set a contemporary murder mystery series. Crime tends to have a close relationship with its setting, and all my favourite detectives over the years are deeply embedded in their home town or city, whether that's Spenser's Boston, Falco's Ancient Rome, or Stephanie Plum's Trenton. Cafe La Femme grew out of a real building in town that I've felt an attachment to since I was a kid, and while my much younger writer self was very self-conscious about writing stories set in the place where I live, it's something I really enjoy now, throwing in layers of history and in-jokes, but also trying to create a believable and compelling setting to people who have never been here before - which is harder than you might think! I’ve got to ask it. Where did you get the name Xanthippe? Xanthippe was the wife of Socrates! She is always portrayed as a bag, nagging scold of a wife which makes me think that she's had a bad rap over the years - my ears always prick up when I read about 'bad' women in the ancient sources. I do like to throw in favourite names from time to time and this one weirdly seemed to fit Zee. Why thank you for the offer! Fablecroft Publishing have started putting out new, revised e-editions of my very first fantasy novels, the Mocklore Chronicles. Splashdance Silver is up now, and will shortly be followed by Liquid Gold and then the previously-unpublished Ink Black Magic to finish up the trilogy. These books are magical adventures with a similar light, comedic touch as A Trifle Dead, and it's very exciting to have them available again to readers. Back to A TRIFLE DEAD - I'm hosting the Perth book launch, so if you live in Western Australia and want to meet the publisher, taste the best trifles/macaroons/other desserts, and pick up a copy of the book, come visit us on Thursday! Information can be found here. And, if you live in Australia, you can enter the Goodreads giveaway to win one of three copies. Good luck! 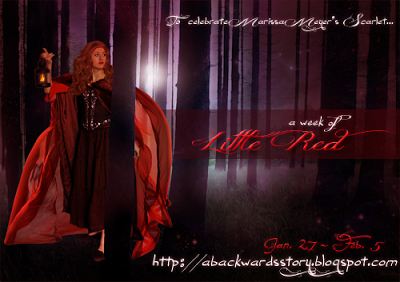 I did a guest post over at A Backwards Story for A Week of Little Red in honour of Marissa Meyer's SCARLET release. Want to know my thoughts on SCARLET's two schmexy heroes, Wolf and Thorne? Find out the strange and random comments I gave Marissa during my first beta reading of SCARLET. You can find the guest post here. As well as relief teaching, I'm currently doing the writing thing. 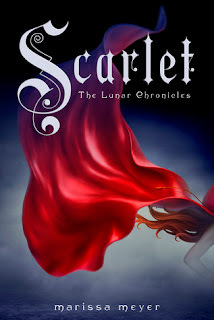 I intern for the publishing company Twelfth Planet Press, and am a lucky beta reader of Marissa Meyer's Lunar Chronicles quartet. This blog has articles on writing, book reviews, and occasional updates on my WiPs. Also, sometimes, rants. Enjoy!